Review: Museo / It's Just Movies Review: "Museo"
Dumb and Dumber meet The Joker. Try as you might, these two, in the hands of brilliant director Alonso Ruizpalacios, defy categorization, or explanation. Their outrageous acts are at the same time thoughtless and brilliant. 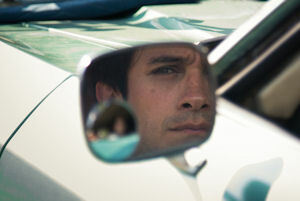 Gael García Bernal does the heavy lifting as aimless, disconnected student Juan Nuñez. Echoing the Nike theme of “Just Do It,” Nunez does exactly that. Question: Why did the nincompoop steal the 140 priceless artifacts that would be impossible to sell or turn into any type of negotiable wealth whatsoever and risk everything to do it? Answer: Because they were there. A true story that would make a lousy fiction, unfortunately, “Museo” is not even that fascinating as a nominee for the Darwin Awards. There is a bit of nail biting as Nunez travels to Europe trying to fence the goods, walking into the hands of persons who could have been downright lethal. As luck would have it, God watches over drunks and Nunez, and he is delivered to the relatively compassionate authorities. They have provided him the required time to think things over. The “Mission Impossible” parts of the movie are fun as well. It was not like a real MI though, since the heist occurred on Christmas Eve when the lackadaisical guards were drunk as well as uncaring. Still, cracking the artifact cases took a little technical know-how. As with most successful criminals, they could have made a fortune as engineers or doctors, had they not chosen the more romantic life of crime. You don’t know what you got ‘till it’s gone. Heist action aside, the story is a serious commentary on disconnected youth, the failures of parenting in particular, and positive societal reinforcement in general. Despite that worthy message, it is hard to take the point seriously because Nunez and his sidekick Benjamin (Leonardo Ortizgris) are such lovable flakes. The nicking of the artifacts is extraordinarily serious, as they represented a vitally significant part of Mexico’s pre-Hispanic heritage. Stealing them was particularly offensive because it represented the theft of a barely surviving native Mexican culture. It is also indicative of the level of importance the country itself places on such culture, as the priceless articles were virtually unguarded. Perhaps the film unwittingly makes a case for the foreign plunder of such cultural icons. The last half of the movie dissolves into a morass of guilt and hyper dithering. Juggling the treasure like a drunken sailor walking the ropes of the high rigging, Nunez dares the fates to take the artifacts back and the fates, unbelievably, refuse. Once the emblem of superior achievement, they have become the albatross around his neck. Shooting in a disorienting stream of consciousness, the director takes us on a ride into a nightmare. Nunez finally realizes the point the masters of history are making. He is doomed to become history himself, whether he likes it or not. Once you become famous, there is no turning back.